Do not stop in the middle of the road to take pictures! There’s no better place for a road trip. The landscapes of Iceland will mesmerize you! 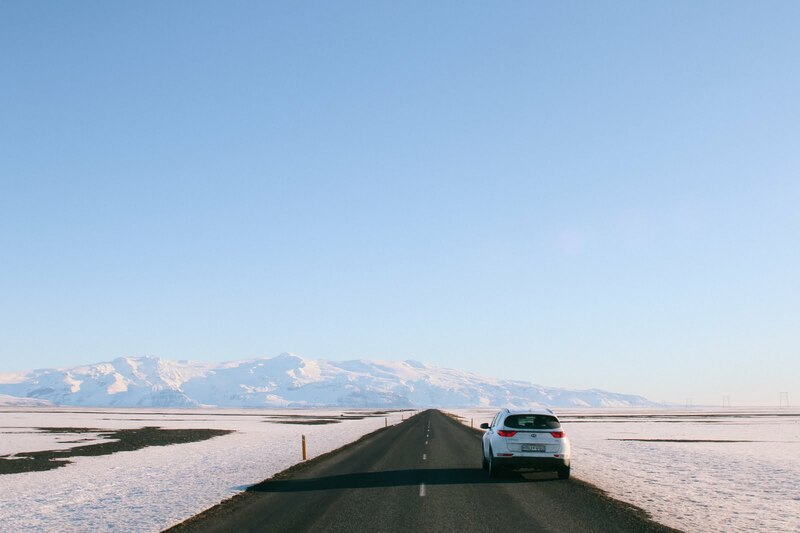 The best way to visit Iceland is with a rental car. Other means of transportation are reduced as there are no trains, hitchhiking at 0º may be detrimental to your health, and bus schedules are limited or depending on where you want to go, non-existent. 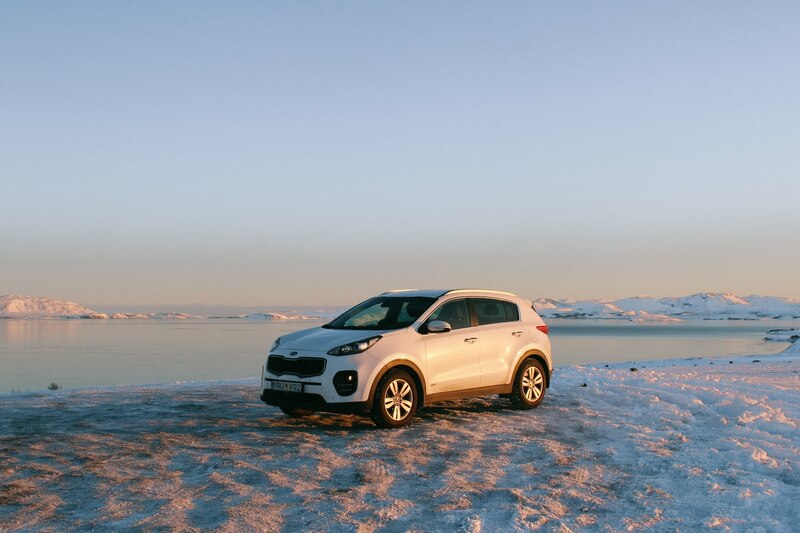 Having your own car allows you to visit Iceland at your own pace, stopping whenever you want, as long as you want and it’s also cheaper than hiring daily tours from Reykjavik. 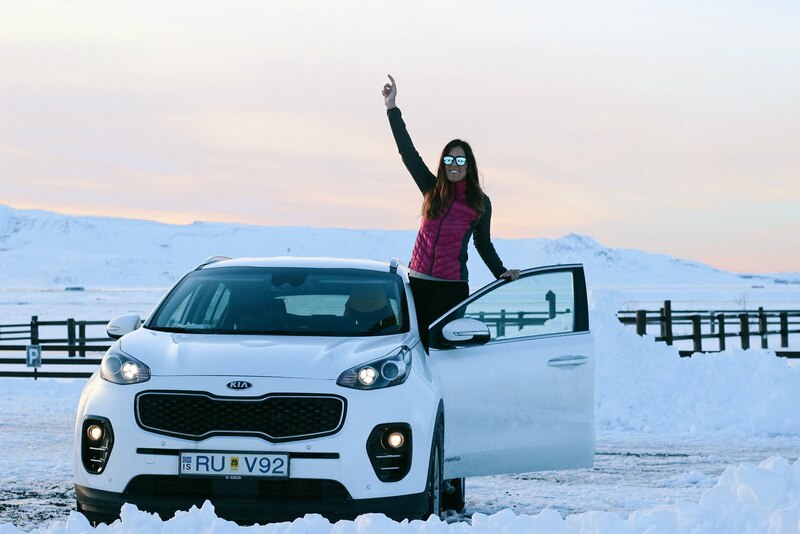 If you are already convinced to rent a car in Iceland, read on! Especially in winter, you must check the roads on the web road.is. It’s simple but essential: ice and snow can cut the roads for hours or days. Fortunately, in Iceland they are experts in getting ice out of the roads, meaning that if the road you were planning to drive through is close now, perhaps will be open again in minutes or few hours. In my case, the night I had to land in Iceland there was this biggest snowfall in the country since the 50’s. 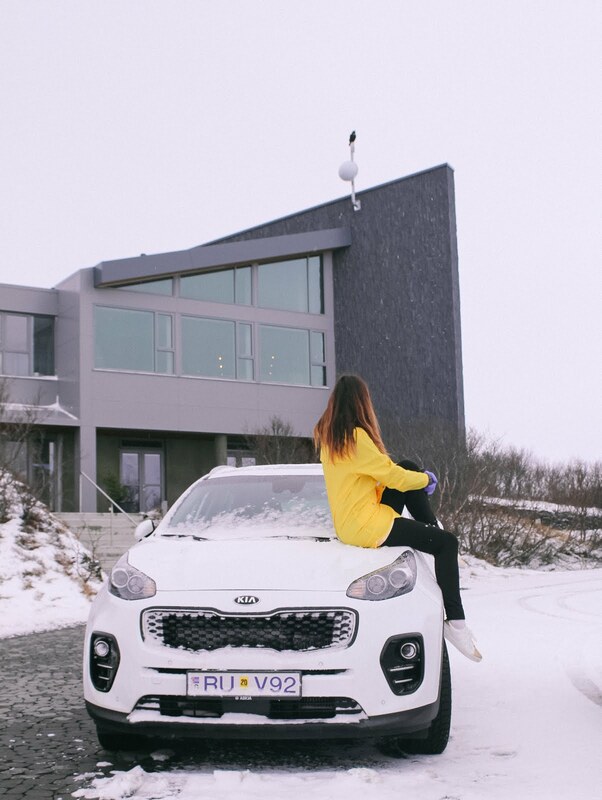 Keflavik International Airport closed for a few hours, as well as the roads that lead to the Golden Circle. You will get the cheapest price. If you travel in high season (from June 1st to August 31st), you will not be left without options. 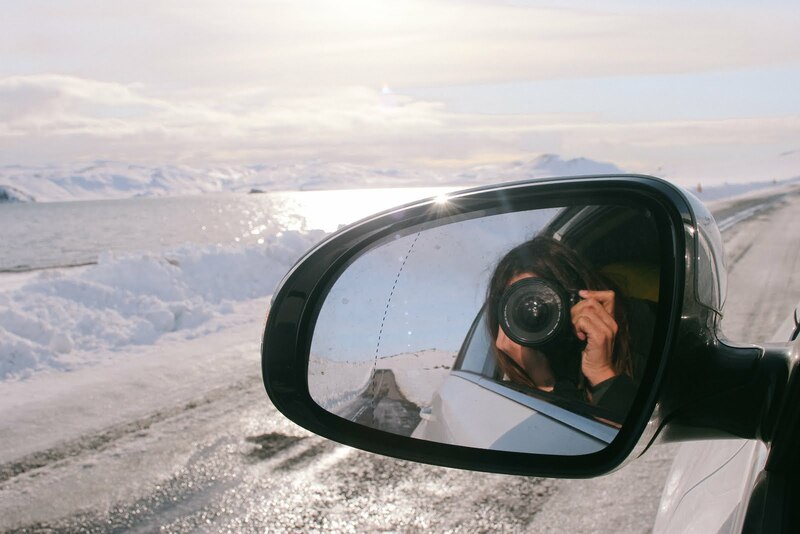 If your trip coincides at this time, book as early as possible: Iceland is really trendy! 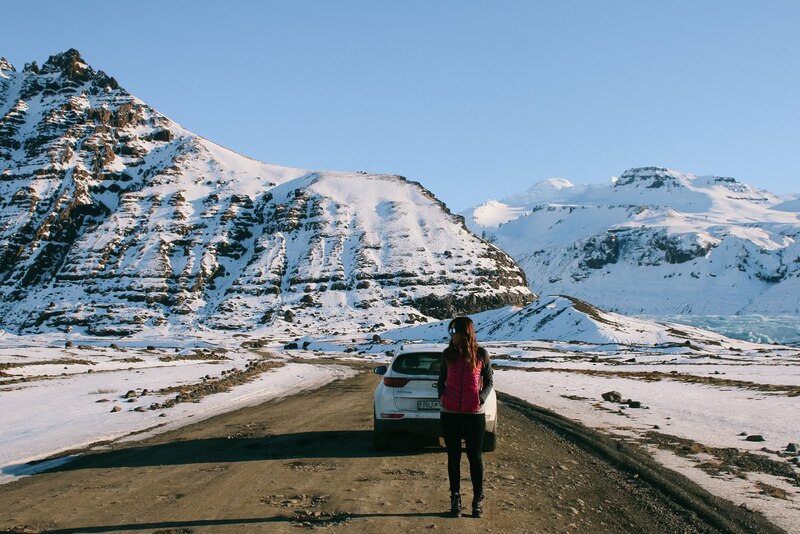 I booked a 4WD with Lagoon Car rental to feel safer driving on the icy roads… and it worked! 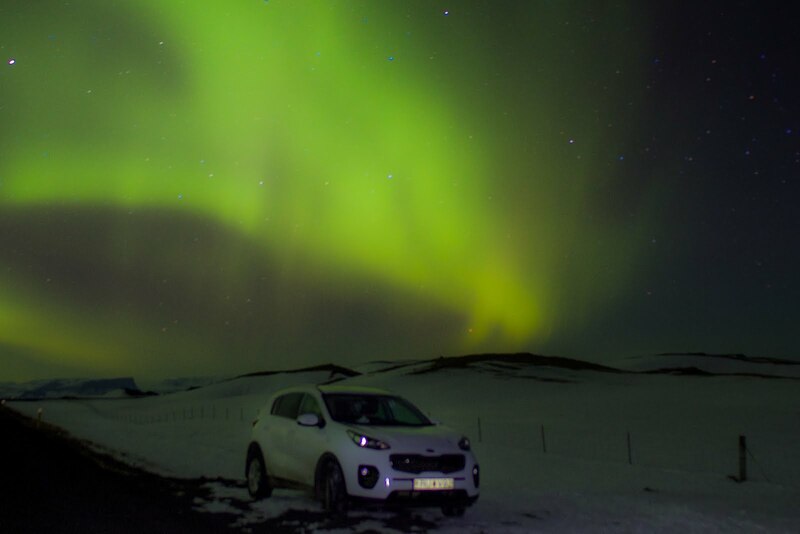 I felt so safe and I remember my Kia Sportage these days with an infinite affection: it was super new, automatic and with the seats and steering wheel heated, something you do not know how much I thanked after being shooting Northern Lights at -7ºC! Lagoon Car rental picked us up at the airport to take us to their office, 7 minutes from Keflavik Airport. There I had a hot chocolate to leave my driver’s license, credit card, check the status of the car and add the gravel insurance. And all ready to start our roadtrip! The company was finally a success and after having driven about 1000 km in the south of Iceland I can recommend it 100%. Whenever you rent a car the same thing happens: once at the counter you are informed of the insurance you should hire and one of them is definitely advisable: the gravel insurance. Although you plan to always go by the Ring Road, the main road, the gravel insurance is necessary: the car can suffer damage by gravel. Remember to check the car when you get it and point out any damage to the corresponding report. This way you will avoid your responsibility of the previous damages that the car could have suffered. Once you get out of Reykjavik, it’s not easy to find gas stations. The best thing you can do is to stop and refuel whenever you find one, even if you still have half of the deposit. You never know how much you’ll have to drive to find the next gas station! Many of the petrol stations are automatic and you can easily pay the amount you need with your credit card. As much as the scenery is amazing and you want to stop everywhere to take pictures, you shouldn’t. It’s dangerous and it can cause accidents. Remember this whenever you feel tempted to stop to cuddle those beautiful Icelandic horses. If there is a good panoramic view (ok, literally everywhere) you will find a little place to park right next to it, so stop there and enjoy your trip safely!